TASHKENT -- An already operating Uzbekistani-built railway in Afghanistan could portend more prosperity and transport integration to the war-torn country's northern half, say observers. Open since 2011, the Hairatan-to-Mazar-e-Sharif railway spans 75km and has the distinction of being the first long-distance common-carrier railway in Afghan history. However, no more construction has taken place since then, and Uzbekistan is hoping to land the contract for building a railway from Mazar-e-Sharif all the way to Herat. The two cities lie about 730km apart. 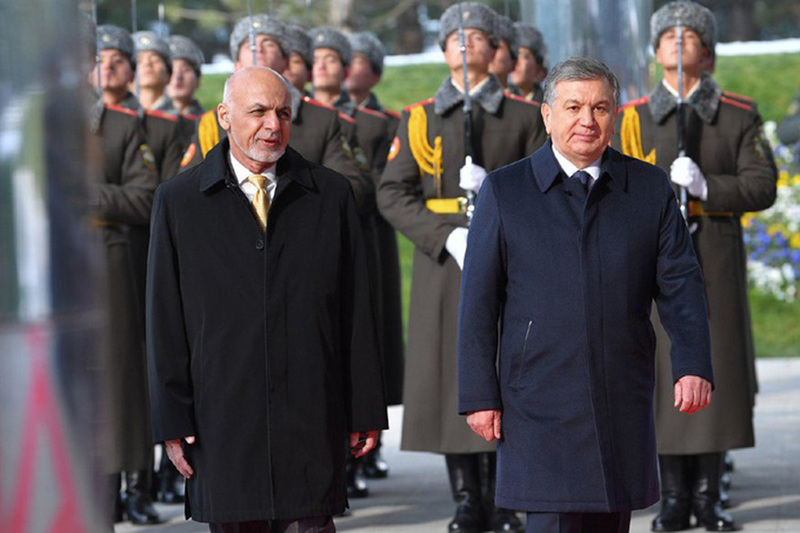 During an upcoming visit to Uzbekistan by Afghan President Ashraf Ghani, he and Uzbekistani counterpart Shavkat Mirziyoyev are expected to discuss further railway construction to link all northern Afghan provinces to the global railway network. "The date [of the summit] and agenda are still unknown, but the transport issue will obviously be at the forefront," Tashkent-based political analyst Valerii Khan told Caravanserai. "Uzbekistan is hoping to be selected to build the Mazar-e-Sharif-to-Herat railway." Ghani and Mirziyoyev already conferred in Astana June 9 on the sidelines of a multi-national summit, and since then, Tashkent has been waiting for Ghani to visit, said Khan. A Ghani tweet July 11 confirmed his intentions of travelling to Uzbekistan sometime soon to discuss railway co-operation. The Hairatan-to-Mazar-e-Sharif railway, which Uzbekistan built mostly with Asian Development Bank (ADB) money, had been in the works since 2008. It opened three years later. It helped strengthen the Balkh Province economy and created many jobs. However, no additional railway construction has occurred since then, as issues of security, financing and contractor selection bogged down the process. "We were always ready to continue construction," Oibek Mamadaliyev, a spokesman for Uzbekistan Railways, told Caravanserai. "From a technical standpoint, Uzbekistani railway workers have no problems carrying out this project." "We have laid track through difficult mountainous terrain, deserts and steppes," he said. "The matter rests on financing and our Afghan partners' ability to protect construction." Negotiations with Afghanistan have already taken place, and the two sides have already reached some agreements, said Uzbekistan Railways officials. 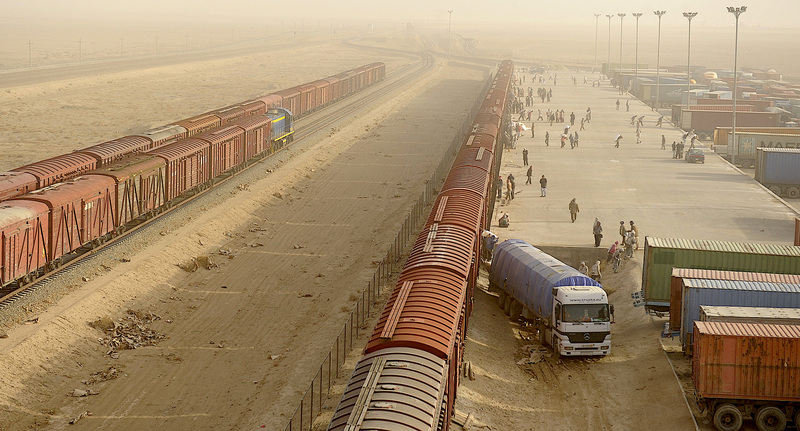 Uzbekistan has an incentive to help build more railways in northern Afghanistan, they say. Further construction "opens up the opportunity to access the sea through Afghanistan and Pakistan", Uzbekistan Railways Deputy Board Chairman Davron Dekhkanov told Podrobno.uz August 9. Uzbekistan is one of only two doubly land-locked countries in the world, meaning that it is surrounded by other land-locked countries. Both sides are ready to begin construction as soon as they have the funding, say Uzbekistan Railways officials. An ADB loan could be one source of funding. An ADB 2017-2036 master plan for building transport in Afghanistan, published in March, discussed this option. That ambitious plan calls for construction of "more than 5,000km of line and multimodal hubs", including a railway from Herat to Kunduz. It could cost an estimated $11.2 billion (90.6 trillion UZS) to implement that master plan. Further railway construction is expected to provide extensive economic benefits to Afghanistan, which until the opening of the Hairatan-to-Mazar-e-Sharif line was essentially railway free. The railway created 1,200 jobs, according to a May 2014 ADB study. Other findings include an annual increase of more than 10% in employment in the "project area" since 2010, a halving of the time needed to haul freight from Hairatan to Mazar-e-Sharif, and an increase in bilateral trade from $140 million (1.1 trillion UZS) in 2008 to $732 million (5.9 trillion UZS) in 2011-2012. More than 7 million Afghans have benefited from using the railway. Railway construction in Afghanistan is in line with Uzbekistan's policy to achieve peace by investing in the development of the Afghan economy. Uzbekistani Foreign Minister Abdulaziz Kamilov reaffirmed the ambition to pursue the policy. "A stable and prosperous Afghanistan is the key to regional security in Central Asia," said Kamilov, speaking at the "Central Asia -- The Main Priority of Uzbekistan's Foreign Policy" conference in Tashkent August 11. "The Uzbekistani side will continue contribute to Afghanistan's economic development and its speedy transition to the pathway of peaceful development." Only one piece of news?